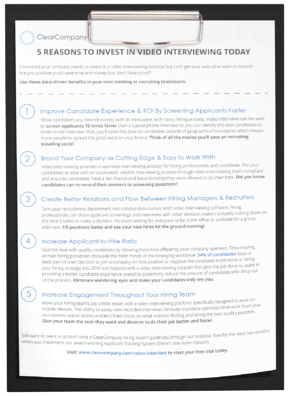 Show candidates you mean business with an innovative, tech-savvy hiring process. 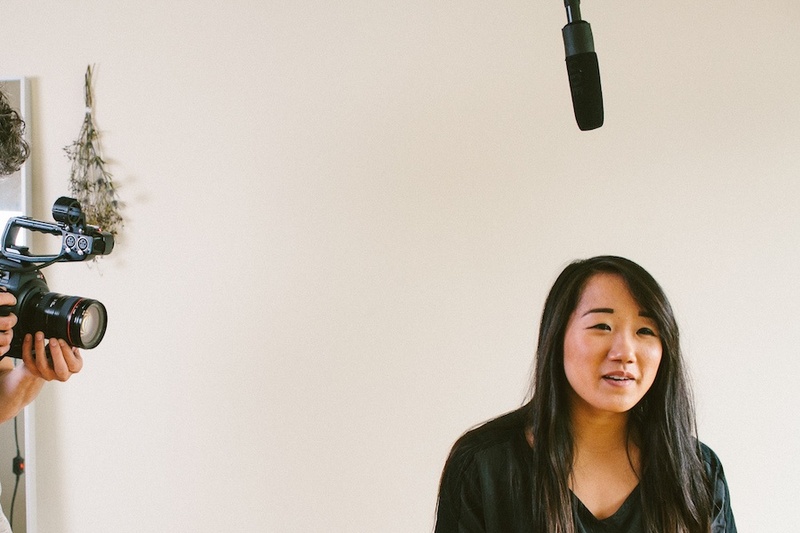 Video interviews can be used to screen applicants 10 times faster than a typical phone interview so you can identify the best candidates to invite to the interview. Plus, you’ll open the door to candidates outside of geographical boundaries which means more people to spread the good word on your brand. Think of all the money you’ll save on recruiting traveling costs! Video interviewing provides a seamless interviewing process for hiring professionals and candidates. Put your candidates at ease with an automated, reliable interviewing process through video interviewing that’s compliant and ensures candidates’ have a fair chance and leave knowing they were allowed to do their best. Did you know candidates can re-record their answers to screening questions? Turn your recruitment department into collaboration nation! With video interviewing software, hiring professionals can share applicant screenings and interviews with other decision makers instantly cutting down on the time it takes to make a decision. No more waiting for everyone to be in the office or available for a group interview. Fill positions faster and see your new hires hit the ground running! Seal the deal with quality candidates by showing them how efficiently your company operates. Slow-moving, archaic hiring processes dissuade the fresh minds of the emerging workforce. 34% of candidates base at least part of their decision to join a company on how positive or negative the candidate experience is. Bring your hiring strategy into 2016 and beyond with a video interviewing solution that gets the job done to assist in providing a better candidate experience overall to potentially reduce the amount of candidates who drop out of the process. Eliminate wandering eyes and make your candidates only see you! Make your hiring team’s job a little easier with a video interviewing platform specifically designed to work on mobile devices. The ability to easily view recorded interviews removes the some of mundane administrative work from your recruitment teams’ duties and let’s them focus on what matters: finding and hiring the best quality possible. Give your team the tech they want and deserve to do their job better and faster. Still want to see it in action? Have a ClearCompany hiring expert guide you through our solution, free for the next two months when you implement our award-winning Applicant Tracking System (there’s one more reason!) Visit: www.clearcompany.com/video-interview to start your free trial today.